A beautiful exploration of the natural world from the author of It's a Book. Did you ever want to waddle with a colony of penguins? Wriggle with an army of caterpillars? Or march with a troop of monkeys? Legendary illustrator Lane Smith takes us on a colourful adventure through the natural world, following a child as he weaves through the jungle, dives under the ocean and soars into the sky. 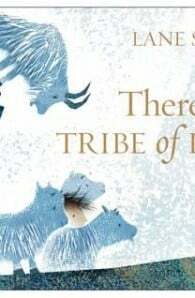 Along the way he makes friends and causes mischief with a dazzling array of creatures both large and small – but can he find a tribe of his own? Full of warmth and humour, There Is a Tribe of Kids is a sumptuously detailed portrayal of wild childhood to be pored over for hours on end. A witty and playful exploration of curiosity, discovery and what it means to belong, ideal for sharing with children of all ages. With a beautiful jacket glinting with gold foil, this gorgeous book makes the perfect gift for any occasion. 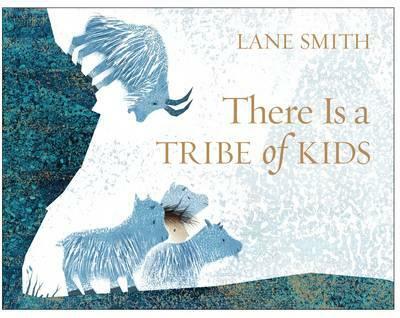 Lane Smith is an award-winning children's author and illustrator. His recent American publications Madam President and John, Paul, George & Ben both were New York Times and Publishers Weekly bestsellers. His titles with Jon Scieszka include, the Caldecott Honor winner, The Stinky Cheese Man, The True Story of the 3 Little Pigs and Science Verse. In 1996 Lane served as Conceptual Designer on the Disney film version of James and the Giant Peach. Lane live in Connecticut with his wife, who has designed all of Lane's titles.